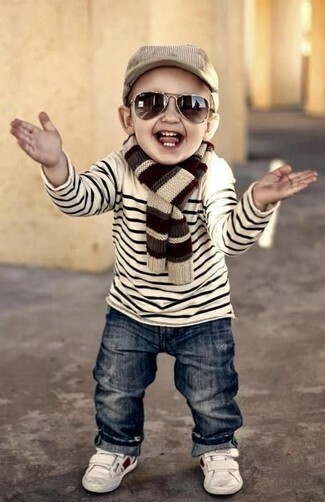 Dress your son in a white and navy vertical striped long sleeve shirt and white shorts for a trendy and easy going look. 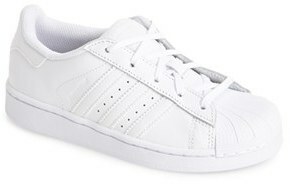 Adidas superstar sneaker from Nordstrom are a smart choice to complement this look. 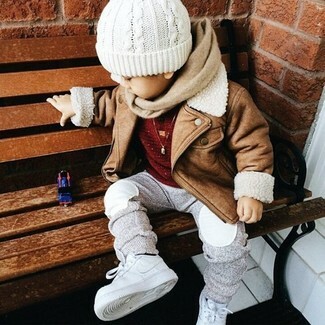 Suggest that your little man dress in a white sweater and blue ripped jeans for a comfy outfit. 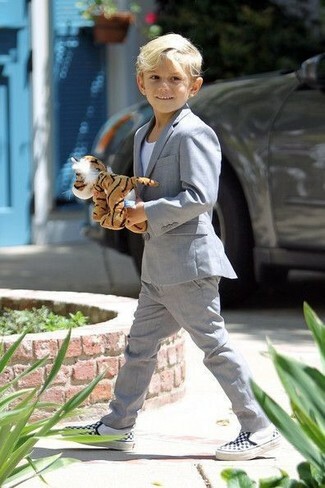 As far as footwear is concerned, suggest that your tot rock a pair of white sneakers. 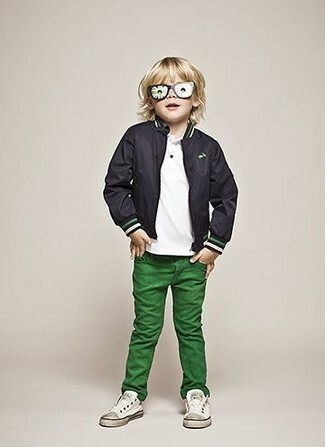 Suggest that your darling wear a tan jacket with grey sweatpants for a fun day out at the playground. The footwear choice here is pretty easy: round off this getup with white sneakers. 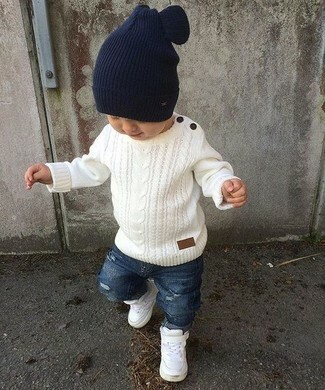 Suggest that your little man pair a white horizontal striped sweater with navy jeans for a comfy outfit. 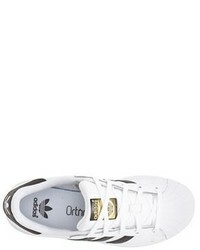 Adidas superstar sneaker are a nice choice to round off this style. 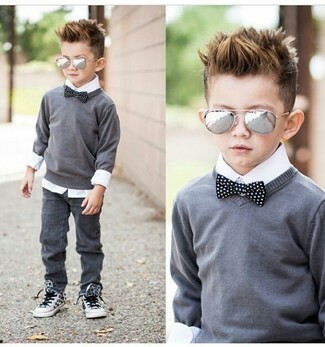 Teach your child to take pride in his appearance by suggesting that he choose a grey blazer and grey trousers. This ensemble is complemented really well with adidas superstar sneaker from Nordstrom. 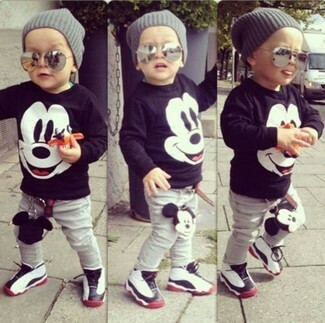 Suggest that your munchkin wear a black sweater and white sweatpants for a fun day out at the playground. As far as footwear is concerned, suggest that your little man opt for a pair of adidas superstar sneaker from Nordstrom. Suggest that your munchkin pair a grey sweater with grey jeans for a comfy outfit. 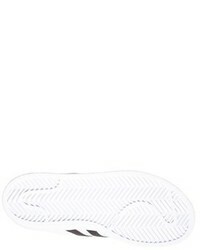 This style is complemented perfectly with adidas superstar sneaker from Nordstrom. 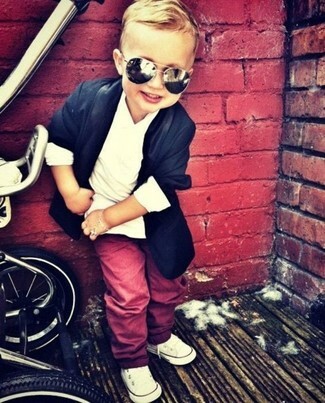 Suggest that your son opt for a navy blazer and red trousers for a sharp, fashionable look. White sneakers are a nice choice to finish off this style. Suggest that your darling reach for a black bomber jacket and green jeans for a fun day in the park. Round off this getup with white sneakers.